The tenth annual BAMcinemaFest, Brooklyn Academy of Music’s annual independent film showcase, kicks off this Wednesday. This year’s lineup boasts a diverse array of films: acclaimed Sundance debuts like “Sorry to Bother You” and “Eighth Grade”; new features from accomplished filmmakers like Andrew Bujalski, Josephine Decker, and Debra Granik; provocative documentaries like “The Task” and “Shirkers”; and even an outdoor screening of Kasi Lemmons’ underexposed 1997 film “Eve’s Bayou.” It’s a festival that strives to capture the broad, diverging worldviews of cutting edge American independent film, and it succeeds precisely because it highlights difference instead of trying to craft a cohesive programming voice. In honor of the festival, RogerEbert.com previews the festival’s three world premieres. 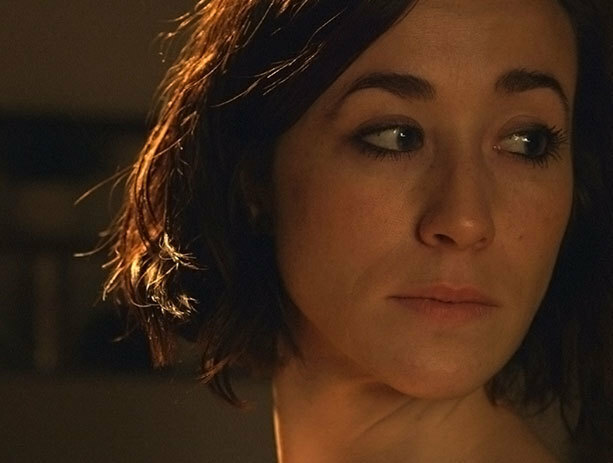 Check out the festival’s full lineup at the BAMcinemaFest website. Schimberg’s meta-interrogation of the beautiful gaze neatly re-centers its disabled cast in the second half, preemptively destabilizing any argument that he’s merely a real-life Herr Director exploiting his cast for shallow ends. The hangout scenes between the “freaks” are some of the best in “Chained for Life,” and encapsulate Schimberg’s practice-what-you-preach approach to providing a voice to the marginalized without any extra patronization. (An extended reality rupture late in the film attempts to make this idea explicit with less productive results.) Admittedly, Schimberg’s insights are somewhat shallow—it’s not exactly, “What is beauty, anyway?” but it comes dangerously close to that territory at times. However, this is partially mitigated by Schimberg’s sincere attempt to place “Chained for Life” in conversation with cinematic history, especially the works of Tod Browning, David Lynch, Alejandro Jodorowsky, and other directors who have featured disabled actors or characters in their films. At its best, “Chained for Life” works as a very funny, eminently quotable send-up of the independent film world (watch out for Stephen Plunkett’s turn as a self-righteous capital-A Actor) that probes at how cinema constructs normative ideas of attraction and allure. It falters when the latter impulse dominates the frame, but never so much as to throw the film permanently off balance. Sometimes you need to plumb the depths of the superficial. “Chained for Life” premieres Sunday, June 24 at 6:30 pm. Tickets are available to purchase here. Directed by Reverse Shot editors Michael Koresky and Jeff Reichert and long-time staff writer Farihah Zaman, “Feast of the Epiphany” fits squarely into the hybridized documentary/narrative camp, but unlike other features of that ilk, it refuses to pointedly prod at the porous border between the two forms. Instead, it combines the two modes to showcase how the construction of a story can obscure the wealth of tales that reside behind it, and how the various elements that make up a life have their own existence that often go forever unexplored. It’s one thing to say that “everyone has a story,” but it’s another to formally externalize that idea without shirking that idea’s myriad implications, which often span political, cultural, and geographic lines. “Feast of the Epiphany” has two sections, one radically different than the other. The first follows a twenty-something Brooklynite (Nikki Calonge) as she meticulously plans a dinner party for an estranged friend who’s going through a rough patch. We watch the preparation, the awkward intermingling, and eventually the airing of vulnerabilities. The second section shouldn’t be spoiled, but suffice it to say, it moves beyond Brooklyn and follows a different set of lives altogether. It’s literally two different films in one, and the directors rely on indirect visual juxtaposition to communicate the connections, and relegate many of their conclusions to suggestion. Though they open the film with talking heads of the actors in the first section as they tell their personal stories, the directors also resist an explicit thematic frame. It’s a deliberately slippery film, one that can easily frustrate audiences that desire stronger connective tissue. Yet, it’s refreshing that Koresky, Reichert, and Zaman demand so much from their viewers, especially when the film itself is so eminently pleasurable to watch. A difficult film that isn’t at all a difficult sit, “Feast of the Epiphany” lays the groundwork for questions and never once concerns itself with answers. “Feast of the Epiphany” premieres Saturday, June 23 at 4:30 pm. Tickets are available to purchase here. “Two Plains & a Fancy,” Whitney Horn and Lev Kalman’s follow up to their 2014 film “L for Leisure,” is the kind of comedy where you can plainly see all the jokes but it never once makes you laugh. 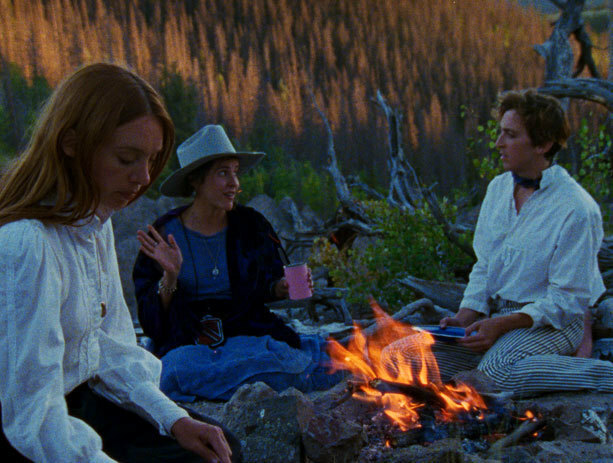 The film follows three New Yorkers (Marianna McClellan, Laetitia Dosch, Benjamin Crotty) in 1893 who travel across a Colorado desert in search of relaxing hot springs. During their journey, they meet a handful of oddballs, including polite cowboys, a pair claiming to be from the future, and ghost prostitutes. Horn and Kalman mine most of the film’s deadpan humor from the awkward convergence of the film’s period setting and their actors’ affected 21st century performances. It occasionally amuses, but it mostly bores, and each successive episode in the film feels too much like a desperation deflection from anything resembling a dramatic core. Lack of traditional conflict isn’t inherently a problem, but when a film is filled with unfunny, rambling digressions that neither compels nor excites, it becomes a noticeable issue. It’s entirely possible that the actual “meaning” of the film completely eluded me, and that I utterly failed in my charge to suss out what Horn and Kalman were trying to accomplish with their hazy meanderings. But when “Two Plains & a Fancy” eventually moved into amateurish naval-gazing in the home stretch after a boring quasi-hallucinogenic voyage, I lost interest in discovering any meaningful takeaway. “Two Plains & a Fancy” premieres Thursday, June 28 at 7:00 pm. Tickets are available to purchase here. A Far-Flung Correspondent Gives a Thumbs Up to "Life Itself"